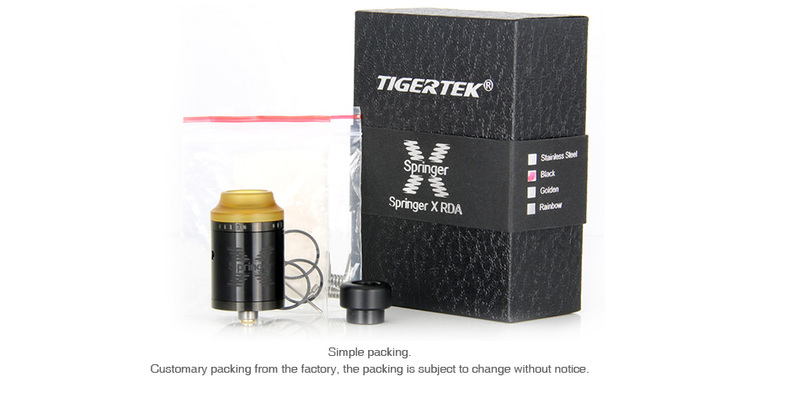 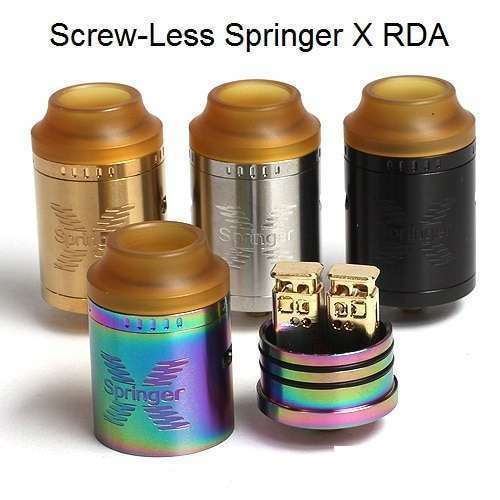 Tigertek Springer X is a dual coils rebuildable drip tank which adopts a screwless build deck with spring-loaded posts for quite easy building. 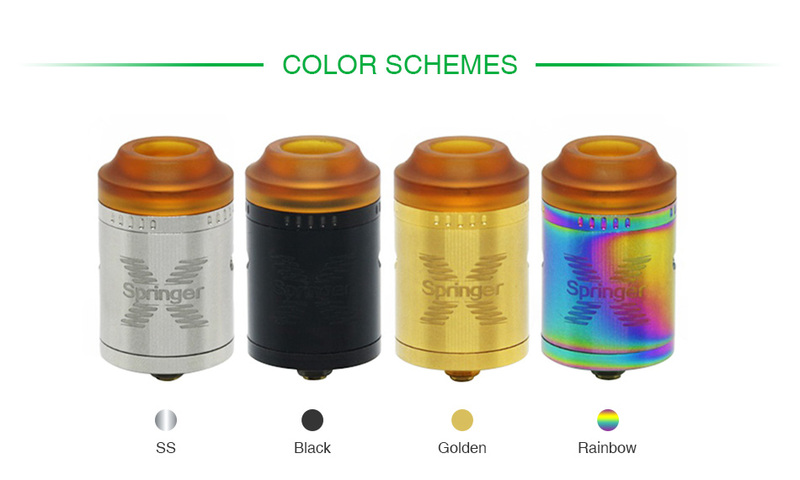 It doesn’t come with e-Juice. 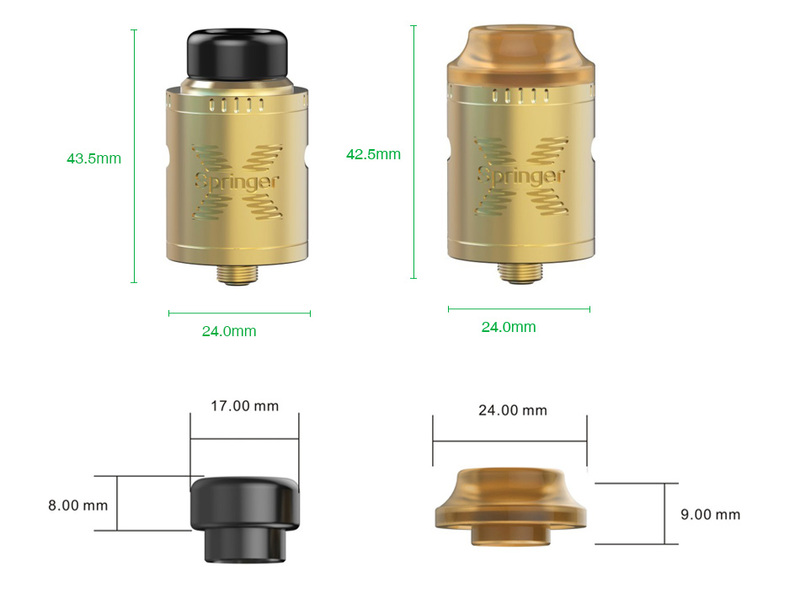 You shall buy it separately. 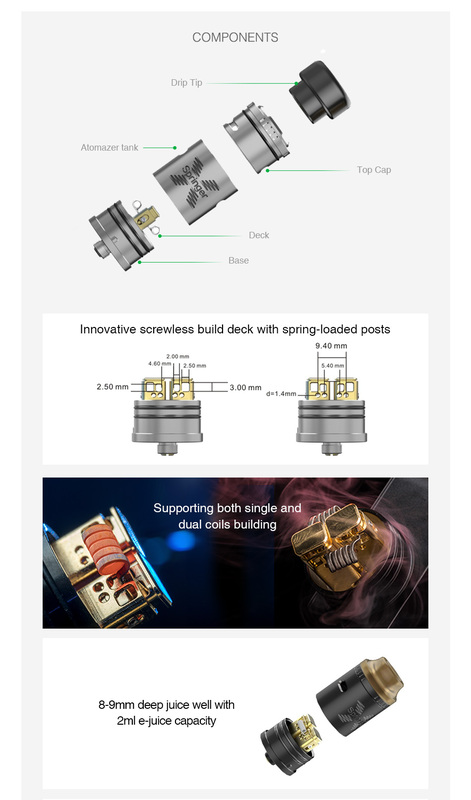 You can select Wire, Wick & Tool for easy building.